CRI can supply high performing but competitively priced OEM balloons due to a new and unique, quicker and more robust balloon blowing process. We can offer extreme long, tightly angled, smooth, straight balloons with unbeatable high burst pressures. We also offer eccentric, tapered, braided, double lumen, coated, extreme long or big balloons also in exotic materials and blends. Full, semi and non complaint OEM balloons, custom made with low initial (mold) investments. Call us for your next generation balloon design and let us help you outperforming industry standards! 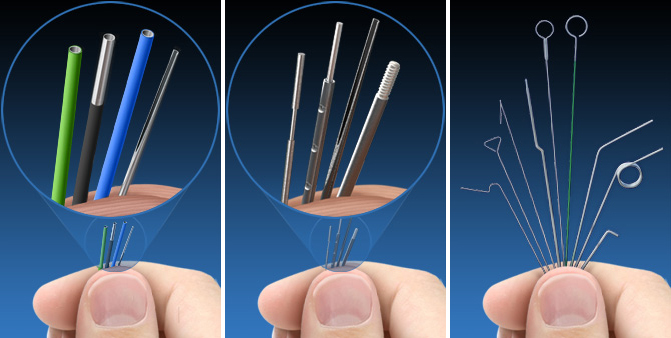 Wytech is professionally supplying medical-grade fine wire and tube since 1975. With in-house developed straightening and cutting equipment one can ‘dead straight’ special shaped wires (D, flat, rectangular triangle) even with thin layers of PTFE. Thru a proprietary straightening technique called EZ™-grind one offers low stress perfectly straight wire that can be centerless ground without losing on straightness properties. Laser welding, burr free cutting, skiving, EDM, electro polishing, electro plating, nitinol shape setting, bevels, trocars, 5-axis, grit blasting, marking, pointing, tubing forming, annealing/tempering/age hardening, coating, coat removing, passivation, surface treatments, etc. Wytech offers 302, 304 air- or vacuum-melted, 316 Stainless steels, several Titanium alloys, Nitinol in a wide variety of sizes. 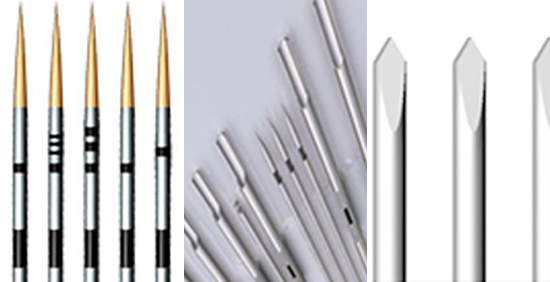 Processes included: Straightening and cutting, cold forming, centerless or hybrid grinding, EDM, sand-grit blasting, coating (pre-, dip- or spray coating on PTFE, several Parylene qualities), coat removal (mechanically, electrically, chemically), pressing/flattening, heat treating (annealing or tempering), skiving, pointing, laser welding, threating and much more. FASTLANE & FASTTRACK services offer a large range of sizes and materials than can be offer in small R&D quantities, Engineering kits or processed metal parts for next generation designs. Wytech is an ISO certified manufacturer, respected for zero defect, on-time deliveries. In collaboration with customers and their end users of the products, Cikautxo performs the entire process of design and customized development of products using polymer materials (TPE, silicones, etc.) for medical and paramedical applications. Products range from Class I – Class III, for long-term and short-term applications. Production areas and processes for each product meet or exceed the requirements of the ISO 13485 and ISO 14644-1/2 standards. We carry out the entire manufacturing process, from rapid prototyping to obtaining the CE marking certificate for finished products for direct market distribution. Our products are used in a wide range of medical specialties including the cardiovascular system, urology, stomatology and gastroenterology, neurosurgery, traumatology, gynecology and obstetrics, nephrology, oncology, pediatrics, neonatology and childcare, laboratory equipment and other applications. 9 Production facilities across the globe with 5 located in Europe, including HQ in Spain.